Saudi Arabia's public prosecutor is seeking the death penalty against five human rights activists, including, for the first time a woman, campaigners say. 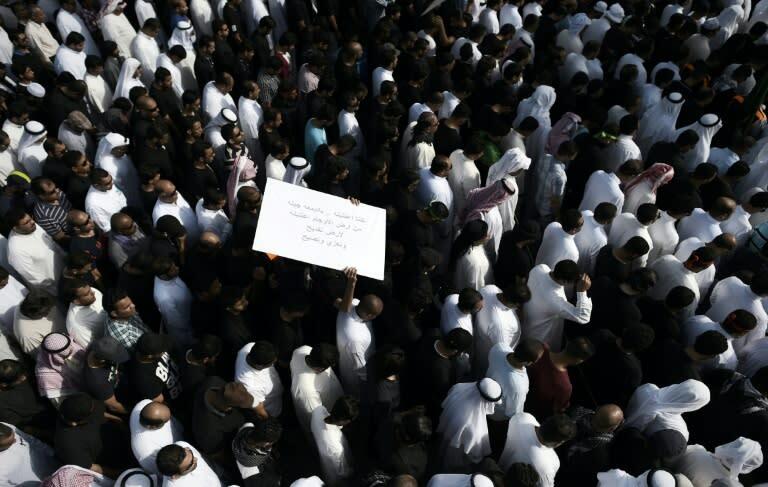 The five stand accused of inciting mass protests in mainly Shiite areas of the Sunni-ruled kingdom's oil-rich Eastern Province and human rights groups charged that the execution threat was a calculated bid to stifle dissent. Saudi officials did not immediately respond to a request for comment. HRW said Ghomgham, her husband and the three other defendants face charges that "do not resemble recognisable crimes". "Any execution is appalling, but seeking the death penalty for activists like Israa al-Ghomgham, who are not even accused of violent behaviour, is monstrous," its Middle East director Sarah Leah Whitson said. Amnesty said the unprecedented call for a death sentence against Ghomgham was a clear attempt to scare other dissidents into silence. Amnesty says at least 12 other leading activists, including eight women, have been arrested in the kingdom since May -- just before the authorities ended their decades-long ban on women driving. Many of them had opposed both the driving ban and the wider system of statutory male "guardians" for women -- fathers, husbands or other relatives, whose permission is required to travel or get married. Earlier this month, Canada sparked fury in Riyadh by calling for the "immediate release" of the detained activists, including award-winning women's rights campaigner Samar Badawi. Human rights groups have repeatedly raised concerns about the fairness of trials in the kingdom, an absolute monarchy governed under a strict form of Islamic law. The government says the death penalty is an effective deterrent against serious crime.